Looking for advice on natural health and wellbeing? Your local independent health store can offer a wealth of knowledge and expertise. This month we speak to Nora Andronaco, health and bodycare team member at Planet Organic in Tottenham Court Walk, London. Your body is unable to make essential fatty acids so they can only be obtained through your diet. The main essential fatty acids are omega-3 and omega-6. There’s also omega-9 but this is classed as a non-essential fatty acid as the body can produce a modest amount on its own, however, adequate levels of omega-3 and omega-6 would need to be present for the body to be able to do this. Most famously, essential fatty acids are associated with cardiovascular and heart health benefits including maintaining healthy cholesterol levels. They are also beneficial for our joints, helping to dampen down inflammation and are great for skin and eye health too. These essential fats also have a positive impact on our mood. The omega-3 family includes long-chain omega-3 fatty acids, docosahexaenoic acid (DHA) and eicosapentaenoic acid (EPA). DHA and EPA are particularly concentrated in the brain and nervous system. Omega-3 essential fatty acids are primarily found in oily fish sources such as salmon, mackerel, sardines, herrings and trout. There’s also alpha-linolenic acid (ALA). This is a plant-based omega-3 fatty acid that can be found in nuts and seeds such as walnuts, flaxseed, linseed, pumpkin seeds and hemp seeds. For vegetarian and vegans, the body converts ALA to the long-chain forms, DPA and EPA. However, several studies have shown that the conversion rates are quite low so you would need to have quite a large intake of ALA foods in your diet. Many vegetarians and vegans opt to take a supplement to ensure they have good levels of omega-3. The omega 6 family includes the essential fatty acid, linoleic acid. Omega-6 is much more widely available through the diet. It’s rich in vegetables and nuts and seeds such as sunflower, pumpkin, sesame, hemp and flax. Fish oil supplements are the most available and potent source of essential fatty acids. If a customer does not have any dietary restrictions, I would always recommend taking a fish oil supplement. Personally, I like the complete range of omega formulas from Renew Life. When searching for the right supplement in store, it’s important to consider the purity of a product. Purity standards are absolutely essential. You should also look to see whether a fish oil supplement is IFOS (International Fish Oil Standards) certified. This provides assurance that the supplement does not contain any toxic components or heavy metals. Sustainability is another factor that is important when making a fish oils supplement choice. Look for products which carry certification stating that the fish oils have been sustainably produced. If you’re vegetarian or vegan, it’s really good to have a balanced diet that’s rich in omega-3, 6 and 9. Stores will also offer vegetarian and vegan-friendly plant-based supplement ranges that can help to maintain healthy omega levels. When it comes to choosing an essential fatty acid supplement, it can be a little overwhelming with so many options available at your local independent health store. Don’t forget, we’re always on hand to offer advice and information to help you make the right choice for you. 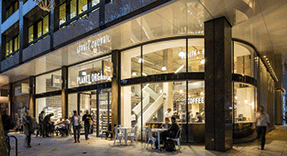 The Tottenham Court Walk store is a relatively new addition to the Planet Organic family. The store just celebrated its first birthday last month and prides itself on being a popular one-stop shop for every organic and natural health essential. It stocks a vast range of organic fruit and vegetables, bread, meat and sustainable fish. It offers a wide range of gluten-free, dairy-free and raw food options too. Expert consultations are available and the store hosts regular customer events on topics such as gut health. Additionally, the health and bodycare department on the first floor provides a great selection of natural beauty brands and high quality health supplements.